Can One Day of Exercise Protect Your Heart for Days? If you have ever tried to lose weight, you have likely been told to move more and exercise. This statement may sound pretty generic, however it is true. 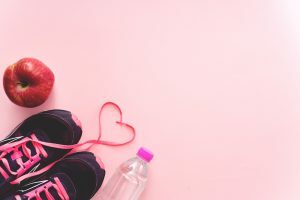 Although the Health and Human Services suggests working out at moderate intensity for 150 minutes a week, a recent report has found that even just one high-quality session of pre-conditioning the heart could keep your heart healthy all week long. Animal studies have shown that one session of exercise can protect the heart for the rest of the week. This is based on infarct size, or size of an area of necrosis in an organ caused by obstruction of blood circulation. The pre-conditioning exercise studied has been shown to reduce infract size, in turn reducing risk of heart disease. This pre-conditioning involves training the heart during periods of ischemia, or reduced blood flow. In turn, the training is expected to reduce infarct size during periods of occlusion, or vessel blockage. These types of studies have not yet been done in humans. However, researchers feel that there is great promise for this type of therapy to be done with patients in the days before a scheduled heart surgery or procedure. It is thought that such “cardio protection” could help lower risk of complications or death and improve overall health outcomes. Besides exercise, there are plenty of things you can do each week to help improve your heart health. Eat more fruits and vegetables: The fiber and nutrients found in fruits and vegetables has been shown to help lower risk of heart disease. Some examples of these nutrients include folate, magnesium, potassium, as well as vitamins A, C, and K. Also, non-starchy vegetables, or those vegetables other than corn, peas, and potatoes, are low in calories. Therefore, such foods can be eaten in great volumes to fill you up without putting you over your suggested calorie intake for the day. Eat less processed foods: Boxed goods, frozen or prepackaged convenience meals, and canned soups are just some examples of processed foods that can hurt your heart. The reason you should limit such foods is because they can often be high in sodium, fat, and sugars that are used to make these products last longer in your pantry or refrigerator. High sodium foods in particular can contribute to high blood pressure, which is a risk factor for heart disease. engaging in some sort of “me time” every day. “Me time” involves some time each day in which you engage in an activity you enjoy that gives you time to yourself to breathe. Take heart-healthy supplements: Besides a multivitamin each day, you may want to consider a heart healthy supplement such as Circova if you are at risk for heart disease. Circova is a supplement by Vita Sciences that contains Hawthorne extract as well as antioxidants such as flavonoids and catechins that have been shown to improve blood flow and blood pressure. Visit your doctor regularly: Be sure to visit your healthcare provider on a regular basis to get your blood pressure checked and to assess your heart disease risk. For most people, once a year is sufficient. However, if you have high blood pressure or a history of heart disease or diabetes, then you may want to visit more often such as every 6 months.